Here is what you get: a Lifetime Subscription for up to five students! 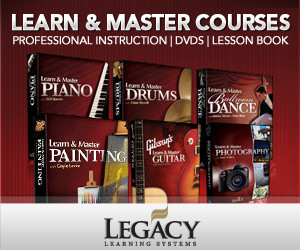 There are 4 levels that are included: Core Piano, Book 1, Book 2, and Book 3. We focused mostly on Core Piano since the child using it (my 5-year-old daughter) had never taken music lessons before. The teacher goes through each lesson (which is about 10 minutes long) with teaching a specific important subject– how to sit at the piano, the G clef (treble clef), skips and steps, major and minor triads, etc. It’s really basic music theory that can be used with any instrument, but with a few lessons specifically about the piano and using correct technique (grab technique, posture). Most of the first lessons in Core Piano (the ones we watched) don’t have much piano playing involved. But there is a downloadable book that shows the staff/music/notes, etc. that are being taught. The teacher is very interesting and likable. He’s also a great pianist–you get to see him demonstrate even on these early lessons. He has a great jazz feel. I’m especially excited to spend some time working on the improvisation lessons that he teaches. That is definitely my weak spot in piano! Find special deals on HomeschoolPiano at the Homeschool Buyers Co-op! 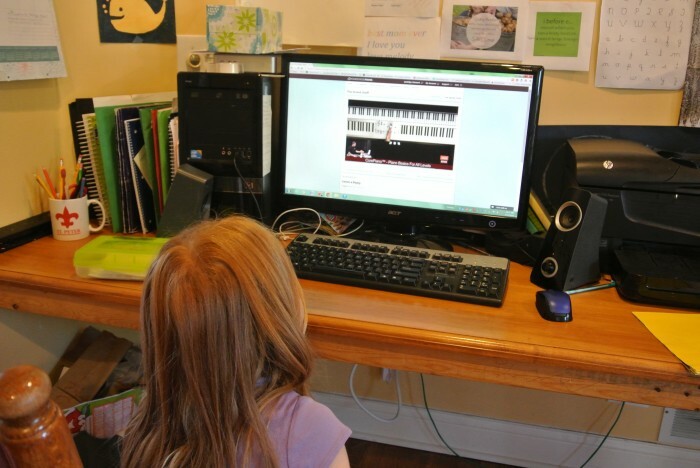 HomeSchoolPiano is for use with all ages. One thing that’s really great about the filming is that you see the teacher Willie’s face, see him playing the notes on the piano, and see the graphics of the exact keys and pedals being played. It’s so helpful, especially since you can watch the lessons over and over if you need to. We watched them on our computer, but they also work on a tablet or other device. I did check out some of the lessons in Book 1, Book 2, and Book 3 to see what’s offered there. I really like his method of teaching piano. See the graphic below? 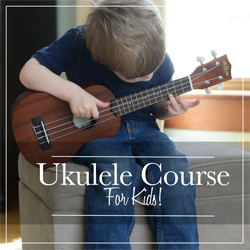 Each lesson includes teaching in each of these 6 areas: technique, rhythm, ear training, improvisation, song (learning to play a song), and reading. The lesson pages are downloadable, so it’s easy to just print them out and put them in a notebook. 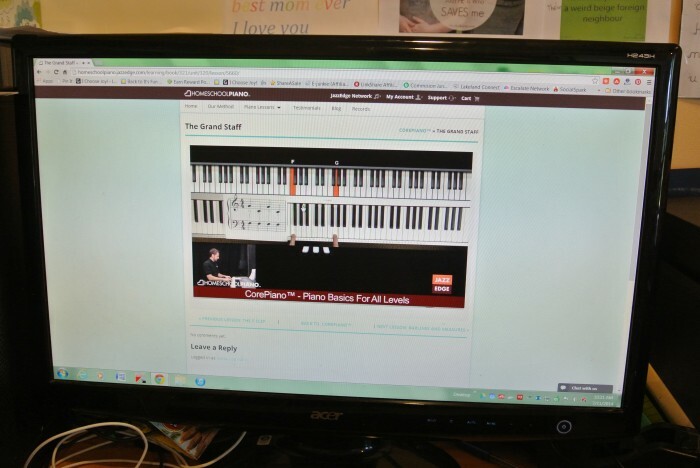 You can watch the lessons at your computer or take your device over to the piano to watch it. You can use a piano or an electronic keyboard–just make sure it has full-sized keys. My husband and oldest son are really excited about this program! I’m excited, too, because it’s a lifetime subscription. That means we don’t have to feel like we need to rush through it before our time runs out. You can check out a video over at the HomeSchoolPiano website and get some free lessons to see if it will work for your family. But, the best deal is probably at the Homeschool Buyers Co-op. It’s really easy to learn piano at home! Be sure to head over to enter the Awesome Website Launch giveaway because there is a Lifetime HomeSchoolPiano subscription (worth $299 ) that’s part of it!